Brenda Maniapik and her children are among the thousands of Nunavut residents living in overcrowded conditions. The house where Brenda Maniapik lives in Iqaluit, Nunavut, is small. It has one bedroom, one bathroom, a laundry room and a living room with an adjacent kitchen. "It's my roommate's house," she said. "He is a very nice guy. He got me to stay here because I have kids." Maniapik is one of thousands of Nunavut residents struggling with inadequate housing. Nearly half of the territory's population of 38,000 people lives in overcrowded conditions, and Inuit leaders in Nunavut say unless decisive action is taken now, the territory's housing crisis will only get worse. Maniapik's living space is tiny — approximately 10 by 15 feet. The room has a bed and a crib wedged beside a washing machine. Shelves line the walls, holding the family's possessions. "We can't put any dresser in, so we just put everything everywhere — towels, clothes on the shelves." said Maniapik. 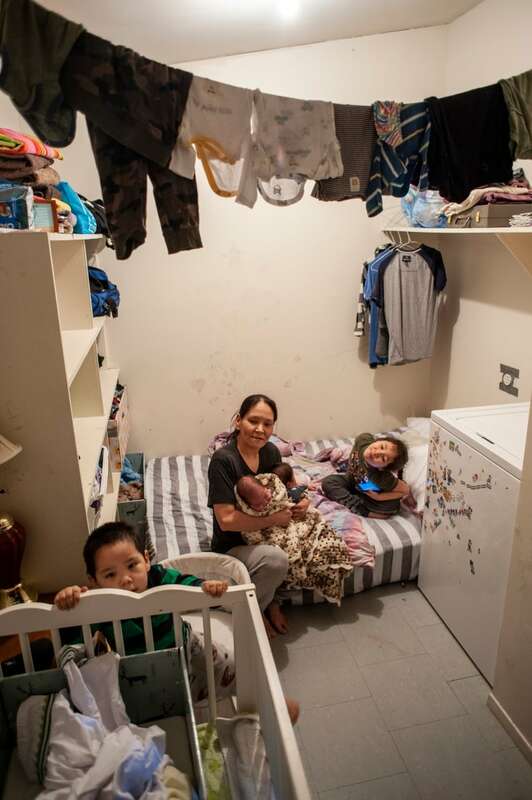 During the day, Maniapik and her kids are able to use the living room and kitchen, but at night her roommate will sometimes entertain friends, forcing her to retreat to her windowless room. Despite these challenges, Maniapik is grateful for the room because of the stability it has offered her, along with her five-year-old daughter, Amie, and 16-month-old son Daniel. But she knows that soon, something will have to give. In November, Maniapik's already strained living conditions became more dire, when she gave birth to twin boys, Isaac and Isaiah. "I'm happy I have all of my kids now. It's just I wish to get out of this house," she said. Like many in Nunavut, Maniapik is on the territory's public housing waiting list, hoping to be chosen to receive a home of her own. She said that she has been on the list for a decade. There are currently about 2,500 names on public housing waiting lists across Nunavut. The waiting lists are controlled by local housing offices (LHOs), which decide who gets a home and who has to wait. The Iqaluit LHO uses a points system to assess a potential tenant's housing need and then ranks them. Each applicant is scored out of a 100. For example, if an applicant has been homeless for more than two years, they get five points. If they've been without running water, that would be three points. However, the process is not as straightforward as accumulating 100 points and then getting a house. The points system is not an absolute measure. The points "provide guidance, but it's not set in stone. There are always extenuating circumstances," said Iqaluit LHO general manager Karen Beamish. For people desperate for housing, the LHOs' decisions about who gets a home and who doesn't can feel arbitrary. Compounding that perception is the LHOs' policy not to disclose where on the waiting list an applicant is. "We cannot tell them exactly where they are at on the waiting list, because it changes every day," said Beamish. However inscrutable the LHOs' decisions may feel to people like Maniapik, the problems with the points system are a symptom of a larger issue: There is just so much need for housing. 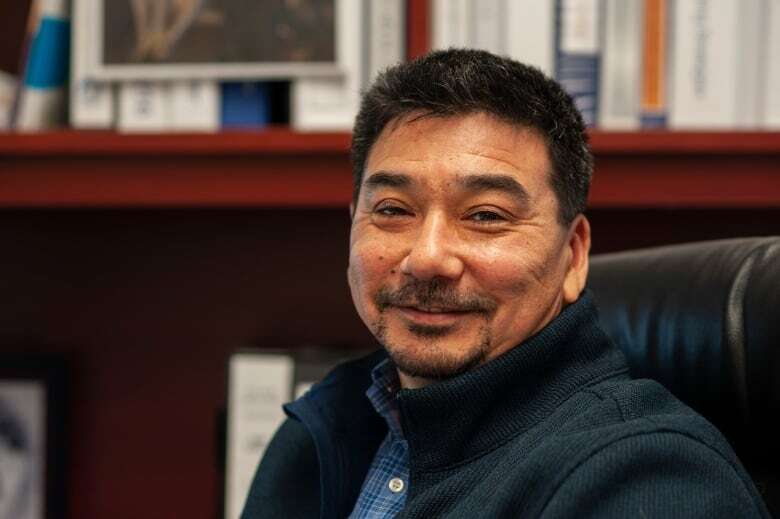 As the president of the Nunavut Housing Corporation (NHC), which oversees the local housing offices and designed the points system, Terry Audla has a front row seat to this crisis. Audla and his staff have to deal with the fallout every day, and overcrowding is rampant. On average, eight people will share a two-bedroom unit. Audla said his team has seen as many as 20 people living in a two-bedroom home. "Overcrowding has become a huge health factor based on communicable diseases," he said. "Then there's the mental health factor aspect of it, individuals not having the solace of being able to be in a room by themselves and collect their own thoughts." The NHC builds around 120 new units each year, but the demand for housing is much higher. "We're in a deficit of 3,000-plus units," said Audla. "It's going to take a lot of money to address the housing crisis we're in right now, just to ... house the current people in need. That's not taking into account the population growth rate." Construction in the Arctic is difficult. Nunavut's 25 communities are far apart, with no roads connecting them. Audla said the lack of infrastructure and extreme climate creates a logistical nightmare for construction, and comes with a steep price tag. Audla estimated it costs the NHC around $500,000 to build each new unit. "If you calculate that out to 3,000 units ... what does that come up to — $2.5 or $3.5 billion." So whose responsibility is it to foot that $3.5 billion bill? "It's got to come from outside the territory. It's got to come from the government of Canada," said Audla. In 2017, the federal Liberals committed $240 million over 10 years for housing in Nunavut. Audla said that translated to just 48 new homes built per year. According to Audla, 70 per cent of public housing tenants are on income support, making it impossible to garner more revenue through rent. "These aren't trumped-up numbers or anything like that. We need to convince the rest of Canada that an investment of taxpayer dollars is needed here in the North," he said. Finding affordable housing is a problem across Canada, but experts say the context and history in Nunavut are unique. 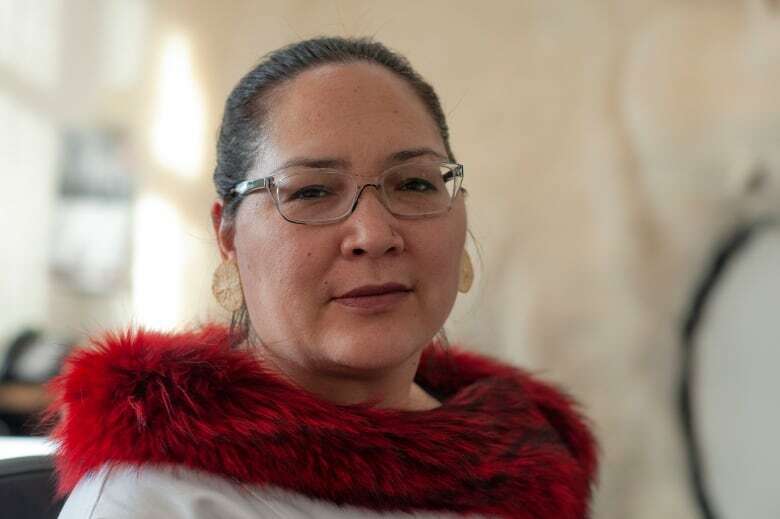 "It's still in living history that Inuit were living out on the land," said Aluki Kotierk, president of Nunavut Tunngavik Inc., an independent Inuit rights organization that formed following the signing of the Nunavut Land Claims agreement in 1993. The organization's mandate is to ensure that the federal and territorial governments live up to the obligations set out in the agreement. "I'm not trying to romanticize it in any way shape or form, but that was the reality of it," Kotierk said. "In a very short period of time, in my father's generation, family camps were encouraged, coerced, relocated into communities across our territory, and people were informed that they would get houses." It makes me question whether or not Canada sees the life of Inuit at the same equitable status as other Canadians. - Aluki Kotierk, president of Nunavut Tunngavik Inc. In the 1960s, Inuit across the North say they were promised homes by government officials, so long as they gave up their nomadic life and settled into communities. Kotierk argues that Canada needed the Inuit, and still needs them, to live in fixed communities to legitimize the nation's claims to Arctic sovereignty. She also said the commitment is one-sided. "When Canada speaks about itself as the nation, they say they're an Arctic nation," said Kotrierk. "Canada has made immense amounts of investments for infrastructure and transportation corridors from the East Coast to the West Coast in southern Canada, but has never made those types of investments in terms of nation-building and then in the North … It makes me question whether or not Canada sees the life of Inuit at the same equitable status as other Canadians." 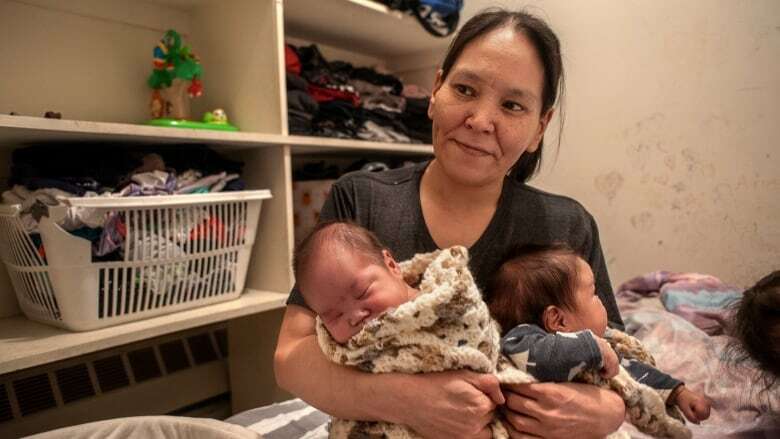 For Brenda Maniapik in Iqaluit, all the talk of nation-building and billions of dollars is far away from her daily reality in that laundry room with four children. "I'm tired and yes, frustrated. I really don't know what will happen. I just want to get out of here somehow. I have not much hope anymore." To hear the full documentary, tap or click the Listen link at the top of the page. Kieran Oudshoorn is an international award-winning photojournalist and broadcast reporter. His work has been featured in CBC, Vice, Maclean's, West Coast Native News, Whitehorse Star, Up Here, Ricochet Media, APTN, Radical Desi, Williams Lake Tribune, Yukon News, Shuswap Firestarter and Canadian Geographic. 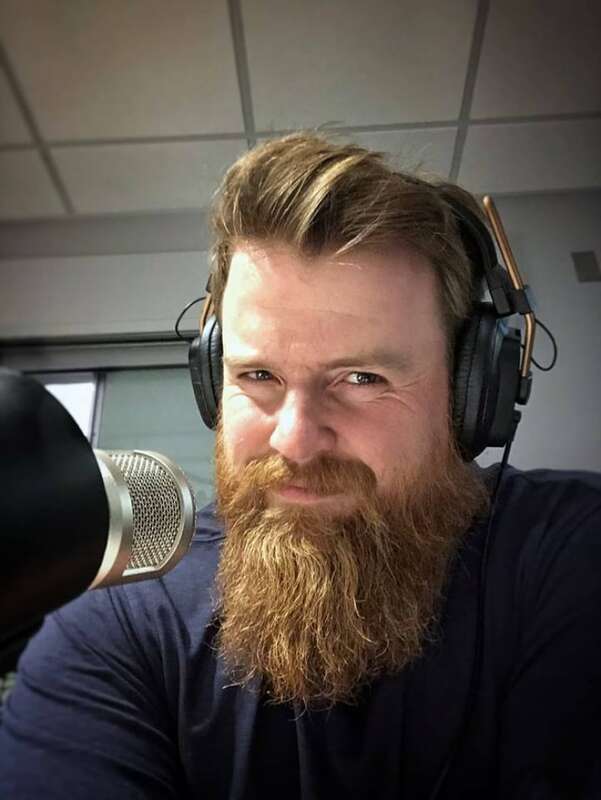 He currently works for CBC North in Iqaluit, Nunavut, where he reports and anchors the morning radio news. This documentary was edited by Acey Rowe.